A New York Democrat is pushing back against his own party’s growing support for the Green New Deal, revealing in an interview that he does not agree with the “massive socialist” ideas in the deal. 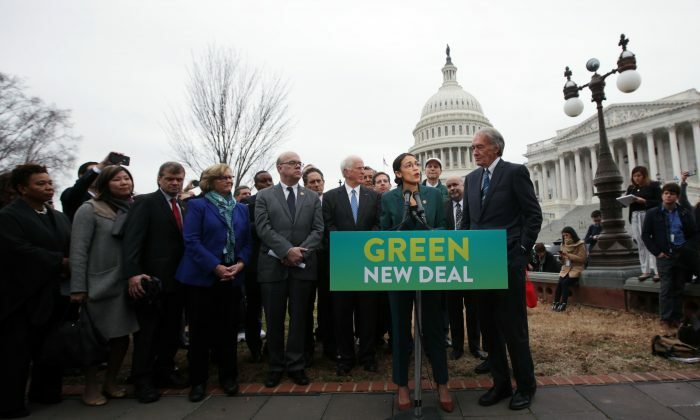 The Green New Deal calls for a 10-year mobilization that would, by one estimate, cost U.S. taxpayers as much as $93 trillion. As a comparison, the total projected government spending for the next decade is $66 trillion. In addition to vague promises of universal access to food and nature, the resolution calls for the removal of all gas-engine cars and upgrading or replacing every building in the country. Rep. Alexandria Ocasio-Cortez (D-N.Y.), who is a member of the Democratic Socialists of America, is one of the most vocal proponents of the deal. “This is very simple because I’m not one to deal in subtleties. I think it’s best not to be passive-aggressive. If she wants to primary me, if the Justice Democrats want to primary me, I’ll lay out the red carpet,” he said. His comments are not the first time he has publicly disagreed with Ocasio-Cortez. 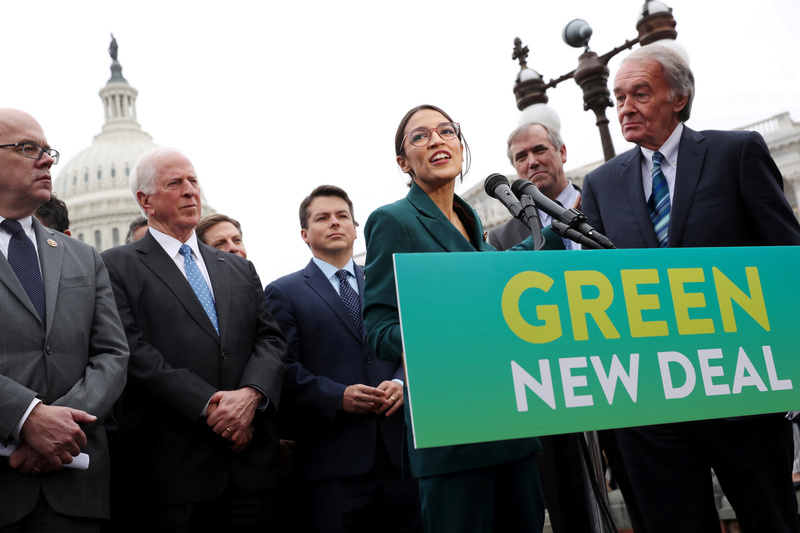 The congressman made similar criticisms of the Green New Deal last month, according to USA Today, and also disagreed with some Twitter Posts from Ocasio-Cortez who questioned the decision to invade Afghanistan after the Sept. 11, 2001, terrorist attacks. Of the 2020 Democratic candidates who are polling at 1 percent or more, seven out of eight support Medicare for All and the Green New Deal. Sen. Amy Klobuchar (D-Minn.) is the exception among the field, although even she views both policies as key long-term goals. The increasing talk of socialism has caught the attention of Trump and Republicans, who have recently ramped up their opposition. 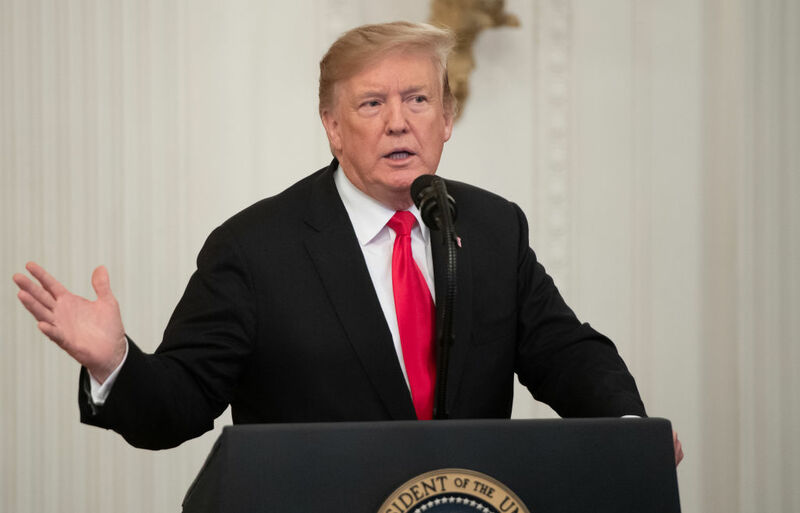 Speaking at the Conservative Political Action Conference (CPAC) in early March, Trump said that nothing is more radical than the Green New Deal.